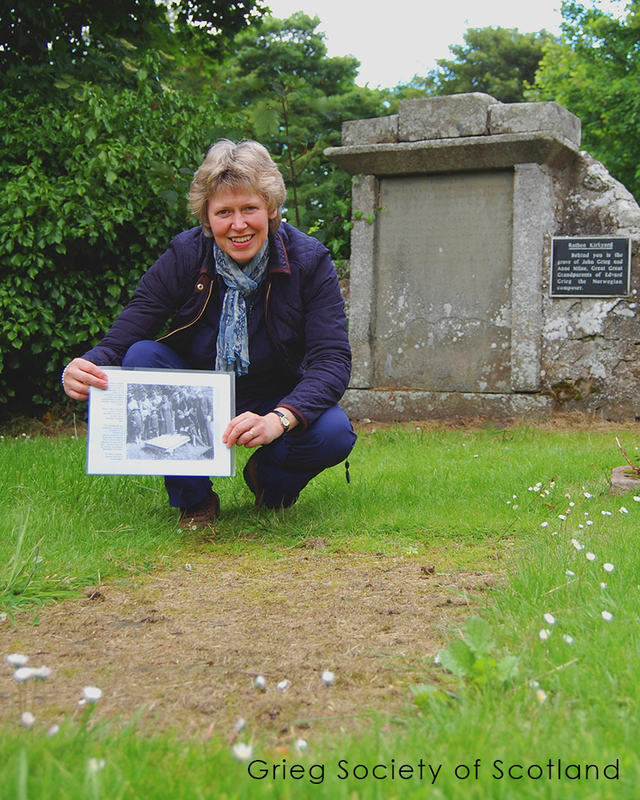 The gravestone of composer Edvard Grieg’s great great grandparents John Greig and Anne Milne, which lies in Rathen kirkyard, near Fraserburgh, has been deteriorating fast in recent years and is now in a poor state of preservation. The stone has sunk so far into the ground, that its outline is now obscured by grass and its lettering almost illegible. Work urgently needs to be done to conserve it from further deterioration, and to give a new generation of visitors to the site a means to interpret this key physical symbol, both of Edvard Grieg’s connection with Scotland, and of Scottish-Norwegian cultural friendship and exchange. In its original state, the gravestone made an elegant monument – gracefully understated, crisply inscribed and raised on beautifully carved stone supports. But today, searched out here by the Grieg Society of Scotland, it looks sad, forlorn and almost forgotten. The gravestone was erected in the 1770s by the children of John and Anne to commemorate, first, their father who tenanted the nearby farm of Mosstoun of Cairnbulg, and later, in the 1780s, their widowed mother. Two of those children, Alexander and James (Edvard Grieg’s great grandfather and great great uncle respectively) emigrated around the same time to Norway together. Their story forms a living link between the little Scottish farming community around Rathen and the busy port of Bergen, for we know from a contemporary Scottish source, that Alexander, founder of Bergen fish merchanting company Alex Grieg & Søn, returned once or twice a year to Rathen to visit relatives and celebrate communion. 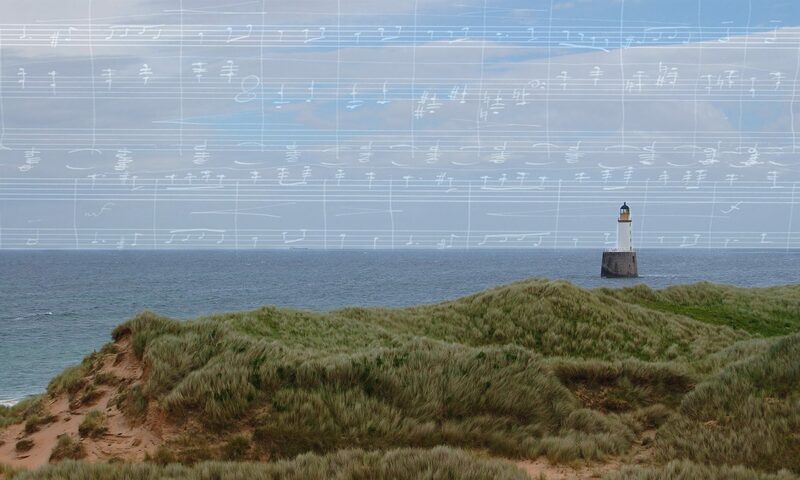 Today, The Grieg Society of Scotland is honoured to have Johanne Grieg Kippenbroeck, a great great great granddaughter of Alexander, as its founding Honorary President, meaning that we continue to celebrate and build on this fond, enduring and culturally significant North Sea connection. 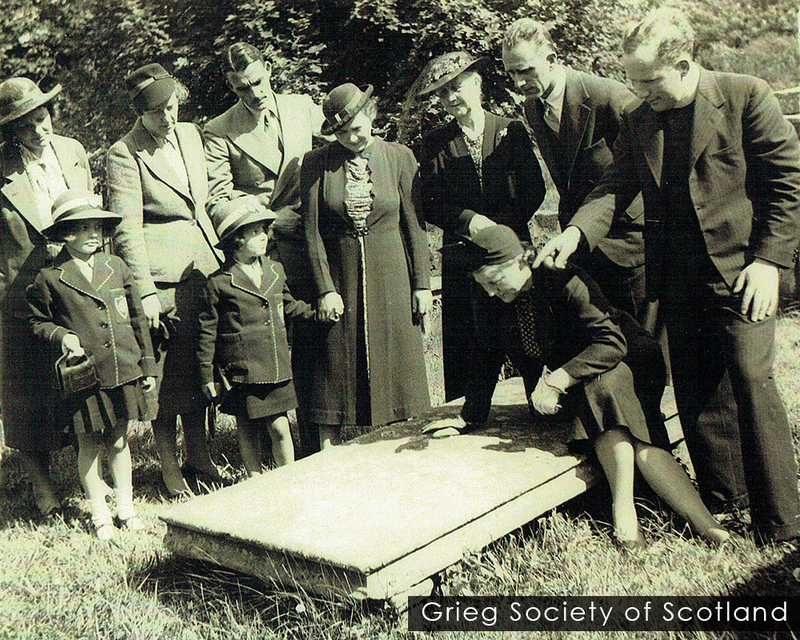 • To conserve and interpret the Edvard Grieg ancestral gravestone for current and future generations, both as a monument to the composer’s connection with Scotland, and as a celebration of continuing Scottish-Norwegian cultural exchange and friendship. • To refresh awareness of the monument and the historic link it represents by inviting the participation of local community groups in Monumentally Grieg! project activities, and by generating wider public interest through digital imaging and dissemination. • To enrich and renew connections with Grieg family descendants in Norway by gathering a ‘family album’ of memories, stories and photographs for all to share. The Society is currently engaged in the first important phase of work bringing together interested parties and scoping out conservation options. Why not join us if you would like to learn more about our project? Membership of the Society is free and open to all – simply contact us here.